The Internet of Things (IoT) is now already reality in multiple application areas. Smart sensors used in smart cities, autonomous driving, home and building automation (HABA), industrial applications, etc. experience challenging requirements in large interconnected networks. A significant increase of data transmission and required bandwidth, leading to an overload of the communication infrastructure can be expected. To mitigate this, the use of artificial intelligence (AI) in smart sensors can significantly reduce the amount of data exchange within the networks. Philipp Jantscher from ams AG explains. Artificial Intelligence (AI) is not a new topic at all. In fact, the idea and the name AI, already appeared in the 1950s. People started to develop computer programs to play simple games like Checkers. One milestone known to many people was the launch of the computer program ELIZA, built in 1966 by Joseph Weizenbaum. The program was able to run a dialog in written English. It created questions, the user provided an answer and ELIZA continued with another question related to the response provided by the user. The main AI technique are neural networks. Neural networks have first been used in 1957 when Frank Rosenblatt invented the perceptron. Today's neurons in neural networks are still using a very similar principle. However, the capabilities of single neurons were rather limited. It took until the early 70s before scientist realized that multiple layers of such perceptrons could overcome these limitations. The final breakthrough on multi-layer perceptron was the application of the backpropagation algorithm to learn the weights for multi-layer networks. An article in Nature in 1986 by Rumelhart et. al. [Rum] made backpropagation mark the breakthrough of neural networks. From this moment, many scientists and engineers were drawn into the neural network hype. In the 1990 and early 2000, the method was applied to almost any kind of problem. The number of research publications around AI, and particularly neural networks, significantly increased. Nevertheless, once all the magic behind neural networks has been understood, it became just one of many other classification techniques. Due to their very demanding training efforts, neural networks in the second half of the 2000 decade faced significantly reduced interest. Reinvestigating neural networks with respect to their operating principles caused the second hype, currently still ongoing. By having more computational power at hand and the involvement of a large number of people, Google demonstrated to beat the best Go players with a trained neural network. Over the last decades, different AI techniques have emerged. In fact, it is not black and white whether a certain technique belongs to AI. Many simple classification techniques like principle components analysis (PCA) also use training data. They are not classified as AI however. Four very prominent techniques are outlined in the subsequent sections. Each of them has many variants and the given overview in this article does not claim to be complete. Fuzzy Logic extends classic logic based on false/true or 0/1 by introducing states that are in between true and false, like “a little bit” or “mostly”. Based on such fuzzy attributes it is possible to define rules for problems. For example, one of the rules to control a heater could be the following: “If it is a little bit cold, increase the water temperature a little bit”. Such rules seem to express the way humans think very well. That is why Fuzzy Logic often is considered an AI technique. In the real application, large sets of such fuzzy rules are applied to control problems for instance. Fuzzy Logic provides algorithms for all the classical operators like AND, OR and NOT to work on fuzzy attributes. With such algorithms, it is possible to infer a decision out of a set of fuzzy rules. A set of fuzzy rules has the advantage of being easily read, interpreted and maintained by humans. Figure 2 illustrates the fuzzy states of a heater control. The states are “Cold”, “Warm”, and “Hot”. As can be seen in the figure, the three states do have some overlap and some temperatures belong to two states at the same time. In fact, each temperature belongs to a certain state with a defined probability. Genetic Algorithms apply the basic principles of biological evolution to optimization problems in engineering. The principles of combination, mutation and selection are applied to find an optimum set of parameters for a high dimensional problem. Assuming a large (more than 20) set of parameters with a given fitness function, it is mathematically not possible to determine an optimum set of parameters to maximize the fitness function. Each set of the next generation is then evaluated using the fitness functions. In case one set appears to be good enough, the genetic algorithm stops, otherwise a new generation is created as described above. Figure 3 depicts this cycle. It has been shown that for many high-dimensional optimization problems a Genetic Algorithm is able to find a global optimum, whereas conventional optimization algorithms fail, because they were stuck in a local optimum. Genetic Programming takes Genetic Algorithms a step further by applying the same principles to actual source code of programs. The sets are replaced by sequences of program code and the fitness function is the result of executing the actual code. Very often, the generated program code does not execute at all. It has been demonstrated however that such a procedure can indeed generate working source code for problems like finding an exit in a maze. Neural networks mimic the behavior of human brains by implementing neurons. They take input from many other neurons, and then perform a weighted sum. Finally, the output is limited to a defined range. The impact of a specific input depends on the weight associated to this input. These weights resemble the functions of synapses in the human brain to a certain extent. The weights of the connections are determined by applying inputs and desired outputs. This again is very similar to the way humans teach their kids how to determine the difference between a dog and a cat. The main components of a neural network architecture are input nodes where the input data is applied. The second set of components are hidden layers who process the inputs through application of weights to their inputs. The weighted inputs are then transferred to the inputs of the next layer. Finally, the outputs assign a certain weight to the classification of the input set as a result. IoT sensor solutions today are mostly only responsible for data acquisition. The raw-data needs to be extracted from the sensor and transmitted to another, more computationally capable device within the network. Depending on the use-case, this device could be either an embedded system, or a server within the cloud. The receiving end collects the raw-data and performs pre-processing in order to present relevant results. Frequently the raw-data of the IoT device needs to be processed using artificial intelligence, as in speech recognition for example. The amount of IoT devices and especially the demand for artificial intelligence is expected to increase dramatically over the next years since sensor solutions become more complex. However, the growing amount of connected IoT devices, which rely on cloud solutions to compute meaningful results, leads to various problems in several areas. The first issue is the latency between acquiring the raw-data and the response with the evaluated information. It is not possible to build a real time system, since the data needs to be sent over the network, processed on a server and then again interpreted by the local device. This leads to the second problem, which is the increasing network traffic and therefore is reducing reliability of network connections. Servers need to handle more and more requests of IoT devices and thus could be overwhelmed in the future. A major advantage of neural networks is their ability to extract and store the essential knowledge of a large set of data in a fixed, typically much smaller set of weights. The amount of data, which is used to train a neural network, can be vast. In particular, for high dimensional problems the data set needs to scale exponentially to maintain a certain case coverage. The training algorithm extracts the features out of the data, which efficiently will classify unseen input data. As the number of weights is fixed, the amount of storage does not correlate to the size of the training data set. For sure, if the network is too small it will not deliver good accuracy, but once a proper size has been found the amount of training data does not affect the size of the network anymore. Nor does it affect the execution speed of the network. This is another reason why in IoT applications a local network can outperform a cloud solution. The cloud solution may of course store vast amounts of reference data, but then the response time of the cloud degrades quickly with the number of reference data stored in the cloud. By definition, IoT nodes are connected to a network, and very likely to the Internet. However, it can be very desirable to have a local intelligence. Then, processing of raw data can happen on the sensor or in the IoT node instead of requiring communication with the network. The most important reason for such a strategy is the reduction of energy consumption of network communication traffic. Major companies as embedded microprocessor manufacturers already realized, that cloud-based services have to be adopted. One of the consequences is the introduction of new embedded microprocessor cores capable of machine learning tasks. In the future, the trend of processing data within the cloud will be further shifted back to local on-device processing. This allows more complex sensor solutions, which involve sensor fusion or pattern recognition. For these applications, local intelligence of the IoT device is needed. Sensor solutions will become truly smart, as they already deliver finalized meaningful data. Figure 5 represents this paradigm shift from cloud-based solutions, to local intelligence. However, computing elaborate AI solutions within an IoT device, requires new solutions which meet power, speed and size constraints. In order to archive this, the trend is shifting to integrated circuits optimized for machine learning. This type of processing is commonly referred to as edge AI. In sensors for IoT applications, which are very frequently mobile or at least service free, the most prominent constraint is power consumption. This leads to a system design, which minimizes the amount of data to be transferred via a communication channel as sending and receiving data. In particular, in wireless mode, transmission is always very expensive in terms of power budget. Thus, the goal is to process all raw data locally and only transmit meaningful data to the network. Local processing neural networks are a great option as their power consumption can be well controlled. First, the right architecture (recurrent versus non-recurrent) and the right topology (number of layers and neurons per layer) must be chosen. This is far from trivial and requires experience in the field. Second, the bit-resolution of the weights get important. Whether a standard float type is used or whether someone can find an optimized solution using just 4 bits per weight contributes significantly to memory size and therefore to power consumption. The sensor system, used as a test case for AI in sensors, is a Metal-oxide (MOX) based gas sensor. The sensor works based on the principle of a chemiresistor[Kor]. Under a certain possible set of reducing (e.g. CO, H2, CH4) and/or oxidizing (e.g. O3, NOx, Cl2) gases the detector layer is changing its resistivity. This can in turn be detected via a metal electrode sitting underneath the detector layer. The main problem of such a configuration is the indiscriminate response to all sorts of gases. Therefore, the sensor is thermally cycled (through a microhotplate). This causes the sensor to react with a resistance change with a unique signature and thus significantly increases the selectivity of gas detection. Another approach is to combine different MOX sensor layers to discriminate further between the different gas types. A closed physical model explaining the behavior of chemiresistors would depend on too many parameters. A non-exhaustive list of these parameters are thickness, grain size, porosity, grain faceting, agglomeration, film texture, surface geometry, sensor geometry, surface disordering, bulk stoichiometry, grain network, active surface area, size of necks of the sensor layer. Together with the thermal cycling profile, the model would be too complex and is currently simply not available. Therefore, such systems form an ideal case to apply modern AI methods. Gas sensing is an especially potent application for AI. The problem, which needs to be solved, is the prediction of the concentration of gasses with the resistance of multiple MOX pastes as the inputs. To solve the task, the behavior of the MOX pastes when exposed to various gasses with different concentrations has been recorded. From this data, a dataset consisting of features (the temporal resistance trend of each paste) and labels (the gas that was present) has been created. This kind of data is especially well suited for the supervised learning method. In supervised learning, the neural network is given many samples, each consisting of features and a label. The network then learns to associate features with labels in an iterative learning process. It is exposed to every sample multiple times. Its prediction is nudged in the direction of the correct label every iteration by adjusting its weights. A neural network is defined by its architecture. The architecture is usually influenced by the dataset at hand. In our case, the dataset has a temporal structure, so a recurrent neural network is a good fit. Recurrent neural networks process the features in multiple steps and keep information about previous steps in an internal state. The architecture also has to be adapted to the already mentioned IoT constraints. The neural network should be as small as possible to minimize power consumption. We use one hidden layer with 47 neurons. The weights are quantized to 4 bits, which further reduce power consumption. On top of this, the network is implemented in an analog circuitry to make it even more efficient. The network was first tested in a pure software environment using TensorFlow (https://www.tensorflow.org/). This allowed rapid adjustment of the architecture to make sure it is able to solve the task properly before actually building it. It is not trivial to evaluate a machine learning classifier. There are multiple ways to measure performance. One of the most popular ones is the Receiver Operating Characteristic (ROC). The ROC is a line with false positive rate on one axis and true positive rate on the other. The area under the curve (AUC) of this line should be as high as possible. It measures how well the classifier can separate the positive and negative samples. Another interesting metric is the mean absolute error (MAE). network needs to achieve a good prediction. This section gives an overview of possible future sensor solutions. In general it can be assumed, that reading raw-data from sensors will not be sufficient anymore, since the complexity and capability of sensors themselves is increasing. The raw-data needs to be heavily computed and/or combined with the raw data of other sensors to deliver a meaningful result. 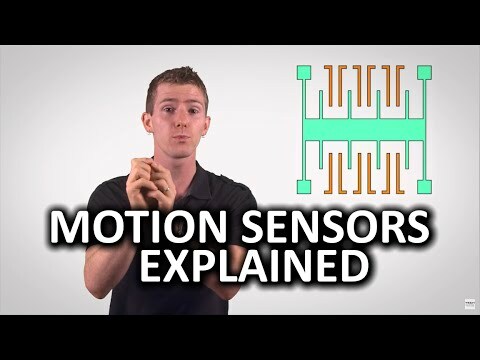 This method is called sensor fusion. Often, all sensors required for the task, are already included in one solution including an embedded system. Using AI, sensor fusion can be done much easier and more accurately than with classical algorithms. Neural networks can cope with unknown situations much better. In addition, it can detect compensation techniques given the training data and potentially increases the value of the delivered result to the customer. For our example, classical algorithms would require physics based models, which are not available. Another example, where the usage of AI is the state-of-the-art solution is object recognition within a camera image. This area has huge potential within the sensor industry. It allows for small wirelessly connected IoT devices, which are reporting detected objects immediately, anywhere throughout the building without the need of cloud processing. This could spawn sophisticated surveillance solutions, presence detection or even enable things like smart fridges, which recognize the type of grocery inserted into it. In addition, facial recognition in embedded devices and smartphones are a trending topic. Here, the facial recognition could be directly performed within the IoT device, creating a plug-and-play solution for customers. Another area are sensor hubs, which are IoT devices collecting information of other sensors and cameras within the network. Using AI, these devices are capable of identifying patterns, routines and make pro-active steps in support of the customer. This allows new applications within home automation, which are currently not possible. Typical IoT devices provide no protection against reverse engineering. Therefore, any data, which is stored as a standard firmware on a micro controller in a sensor node, must be regarded as public. Very often, the algorithm to infer meaningful information from sensor raw data is an important asset of sensor providers. Neural networks do not store the data, which has been used for training. Instead, they extract the relevant features of the data and store these features in the set of weights. It is just impossible to reverse this data extraction and storage operation. This means even given all the weights of a network it is not impossible to derive even parts of the original data, which has been used for training. This is an important property of neural networks. In particular, in the area of biometry where training data is always a large set of very personal data like face images or fingerprints. Neural network based systems can use such data without any problems of privacy and data protection after the training phase has been finalized. This article has shown the increasing importance of AI within sensors in IoT systems. The history of AI and its types was introduced, which lead to the use cases within sensor solutions. It was shown, why AI has a strong potential for sensor solutions in the future and it was demonstrated using the example of gas sensing applications. A prototype implementation for this example including the results was presented. In the end, possible future applications were discussed. The importance of privacy though protection of the data is very important and cannot be ignored in future systems. Shifting the intelligence back to the IoT device instead in the cloud allows for better selection of data, which need to be processed by third parties. [Rum] Rumelhart, David E.; Hinton, Geoffrey E.; Williams, Ronald J. (1986-10-09). "Learning representations by back-propagating errors". Nature. 323 (6088): 533–536.